Some 40 % of the oil draining activities at the site of the sunken vessel “Mopang” are completed, announced the Executive Director of ES Maritime Agency, Captain Zhivko Petrov, before media representatives on the termination of the work for the season. He further announced that activities will be resumed in springtime favourable weather conditions are. Captain Petrov presented the results achieved by now, noting that repayments amount to 687 405 leva, the invoiced ones amount to 1 098 000 leva, that is 40% of the allocated budget of 2,5 million leva. Petrov summarized that 400 cubic meters of oil have been drained, the teams working for 24 days underwater following preparatory activities of five days. Preliminary forecasts in the contract envisage 64 days for the complete draining of the tanks. “As soon as the weather allows it, draining activities will resume, teams aiming at completing them by the beginning of the active tourist season in 2019”, concluded Captain Petrov. 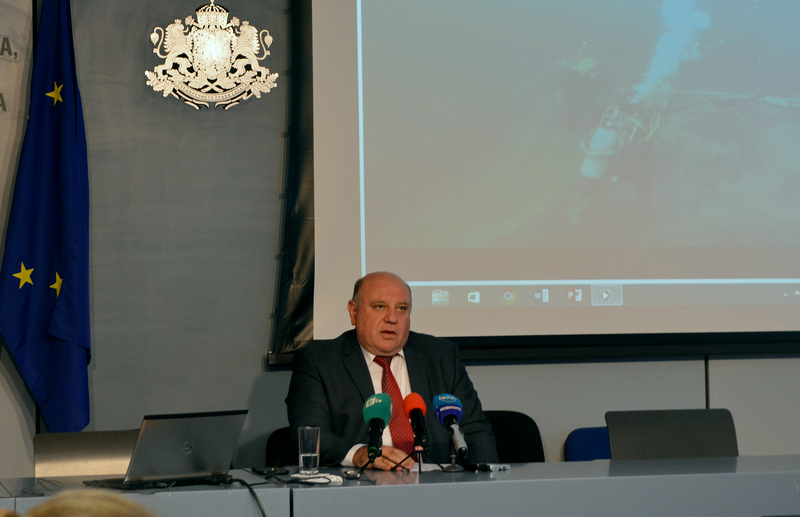 At journalists’ questions whether similar vessels lie at the Black Sea bottom, he responded that there are assumptions for the existence of such and next year Rodina vessel, sunken during WW2, will be thoroughly examined. Captain Petrov noted that there are sunken ships throughout the whole of Europe dated to the same period, and they are challenging for many states as after the 1970s and 1980s they started eroding and now pose similar threats.